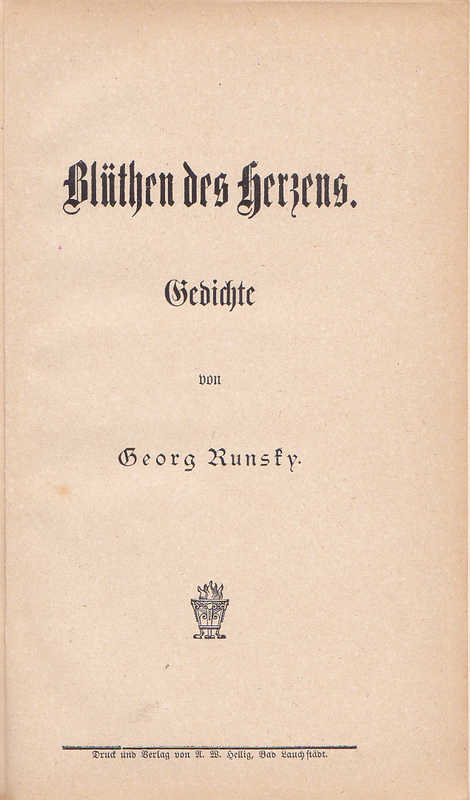 Georg Runsky. Blüthen des Herzens. A.W. Hellig, Bad Lauchstädt, [circa 1906]. 115p. 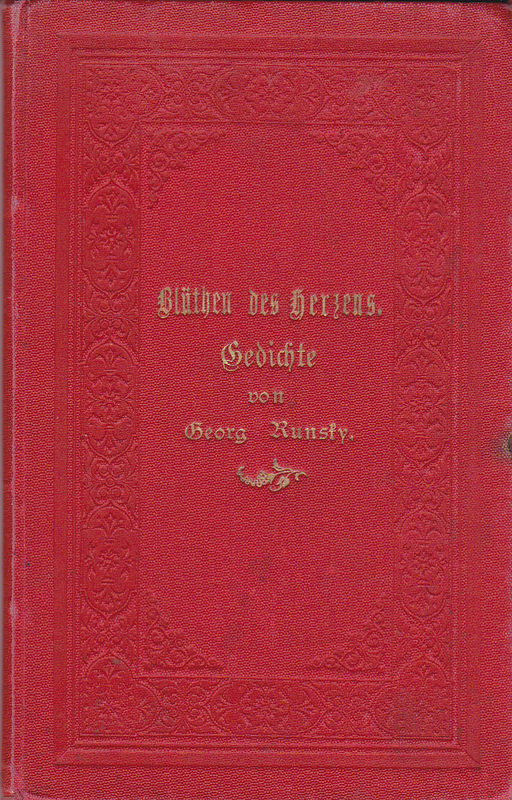 The poetry book of the German poet Georg Runsky (1866-? 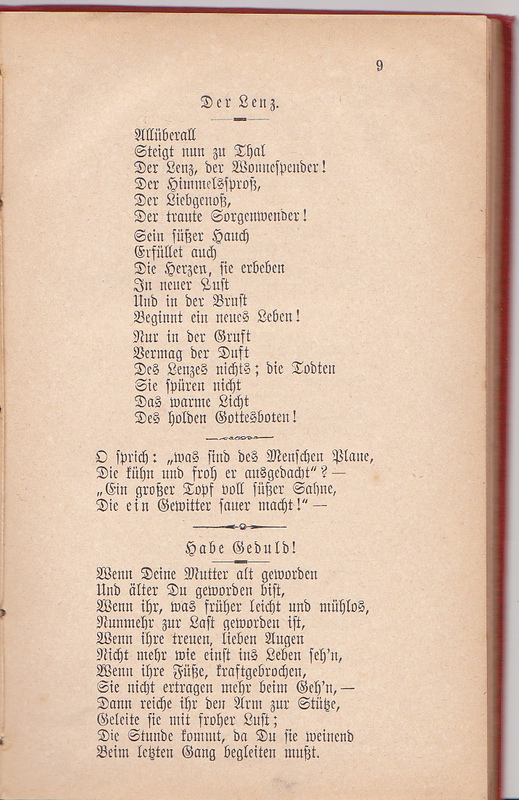 ), which contains the poem 'Habe Geduld'. The book was published around 1906. 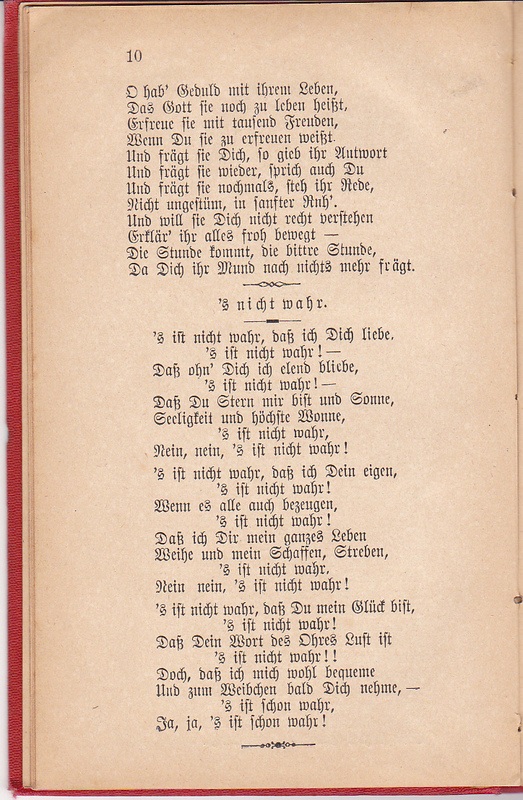 On 14 May 1938 a copy of this poem was printed in the Austrian weekly Agrarische Post, under the title 'Denke es'. It was then falsely attributed to Adolf Hitler. 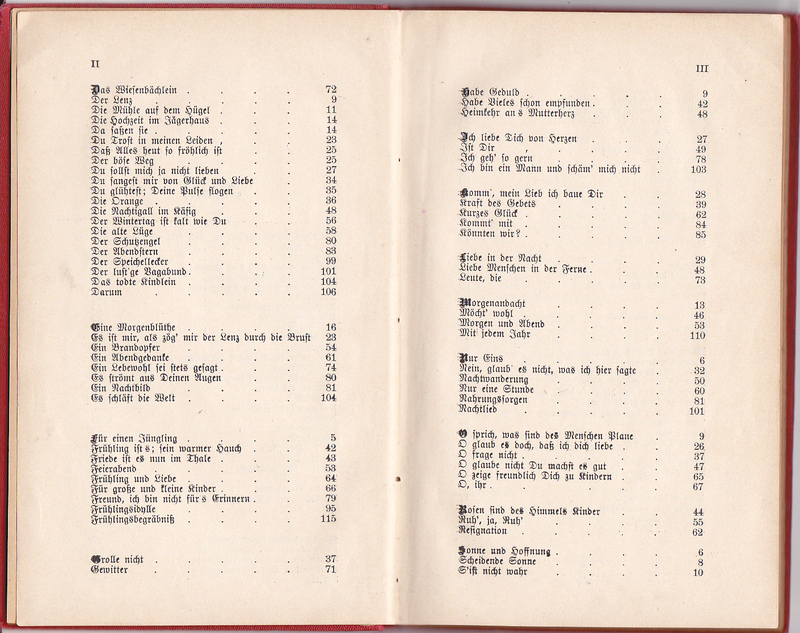 In the Hitler biography of John Toland (1976) it appeared for the first time in English translation. 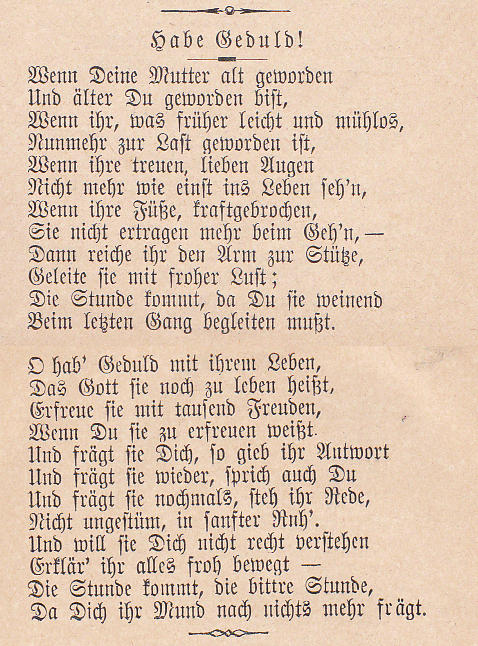 Toland made the mistake in identifying it as a true Hitler poem, supposedly written in 1923. Beim letzten Gang begleiten mußt. Wenn Du sie zu erfreuen weißt. Nicht ungestüm, in sanfter Ruh'. Accompany het with gladness and joy. Will accompany her on het last journey! Scans by Jaap van den Born, Nijmegen, 2016. Denk es. Agrarische Post, Wien, 14-05-1938. Rehse Collection, Library of Congress (Washington D.C.). propaganda, calendars, books, etc.] Ca. 1915 tot 1947. Ca. 850 items. Collected by officials of the Library of Congress. Library of Congress Control Number 2010651959. The Runsky poem is item 791. As such it belongs to the Flowers of evil-series. © Jaap van den Born en Bart FM Droog, 2017.